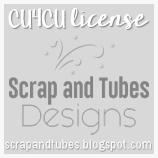 In this tutorial, I will be using the kit called Cupcake Wars by Creative Scraps by Crys. I will be using the tube Sweet Cherry Pie by Keith Garvey. You need a license to use his work & you can get both at PTE. C/P CCW_Paper_2 & resize to 75%. C/P your tube of choice. If you are using the same tube as I am, I did not have to resize her. C/P CCW_Element_46 & CCW_Element_47 & resize to 25%. C/P CCW_Element_12 & resize 45%. C/P CCW_Element_15 & resize 30%. C/P CCW_Element_11 & resize 20%. C/P CCW_Element_9 & resize 20%. C/P CCW_Element_10 & resize 20%. Add your watermark & don't forget to add the Artist copyright info. The font I used for this tutorial is Curlz MT. If you use this tutorial, I'd like to see your results. Please send them to agelesskarmacreations@yahoo.com. This is the second time I have used this kit (hence the Part 2 in the title). The kit I am using is called An Emo Easter by Creative Scraps by Crys. It is a FTU kit & can be found on her site here. I am using the work of Ismael Rac. The tube is called Bunny. You can use a tube of your choice if you'd like. But, to purchase this tube, go to his site here. Please make sure you have a license to use his work. Lets start off with opening a 600 x 600 transparent canvas. Using your magic wand, click inside Frame1. Selections, Modify & Expand by 8. C/P tube of choice, using the close up. Resize 70% & position the tube to your liking. C/P Balloon, Balloon2 & Balloon3. Drag below sprinkle layer. C/P 2nd tube of choice & position to your liking. If you are using the same tube as I am, I changed her hair a little just to be different. The font I used for the tag name is: PartybyTom. Don't forget to add the Copyright & your Watermark. I did those in the Arial font. The kit I am using is called An Emo Easter by Creative Scraps by Crys. It is a FTU kit & can be found on her site here. I am using the work of Ismael Rac. The tube is called Pretty Easter HD01. You can purchase this tube at his site here. Please make sure you have a license to use his work. I am also using a mask for this tutorial. The mask is called Vix_EasterMask20101 by Vixpsp & can be found here. The font I am using for the tag name is called Palace Script MT. C/P Paper5 from the kit for your background. Add your tube of choice. Add drop shadow to tube. I will now start to add my elements from the kit. Add a drop shadow of your choice to all elements. Don't forget to add the Copyright info & your Watermark. I used the Arial font for the Copyright & Watermark. I hope your have enjoyed my tutorial. I would love to see your results of this tutorial. If you'd like, please send them to agelesskarmacreations@yahoo.com.